At Newtown Casino we offer Newtown Caisno Slot Game and Live Dealer. Newtown Casino Malaysia is the official casino licensee for Playtech UK. New logo, new vision and new customer support team has been re-designed, re-defined and re-organized in order to become a more customer oriented casino company. Newtown Casino is Exclusively Powered by Playtech™ offers a complete gaming experience with over 100 games — popular Table and Card games such as Poker, Blackjack, Baccarat, Roulette, Sic Bo, Progressive Slots and Branded Games. Playtech, UK is the world’s largest online gaming software supplier traded on the London Stock Exchange Main Market, offering cutting-edge, value added solutions to the industry’s leading operators. Since Playtech’s inception in 1999, its approach has been centered on the continual development of best-of-breed gaming products and conten, and its success built upon strong partnerships with their licensees. 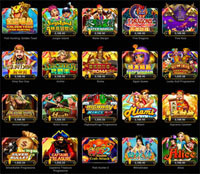 More than 100+ slot games for you to play such as Atlatis Queen, Desert Treasure, Dolphin Cash, Dragon King, Fox Fortunes, Funky Fruits Farm, Ghosts of Christmas, Goddess of Life, Holloween Fortune, Heart of the Jungle, Highway Kings, Jackpot Giant, Monkey Thunderbolt, Samba Brazil, Secrets of Amazon, Sultan’s Gold, The Pyramid of Ramesses, White King, etc. Our Live Dealer Casino is located in Asia. Most of the dealers can speak different kind of languages such as English and Chinese. Here, you are able to play live Roulette, Baccarat, Blackjack, SIC Bro and Casino Hold’em.